A skiing holiday can be just the tonic for any adventurous or active spirit that needs a break from their daily grind. Such an excursion may not sound as relaxing as laying on a beach somewhere in the Med and sipping on a pina colada, but skiing can be a great way to spend your leisure time, and great exercise at the same time. 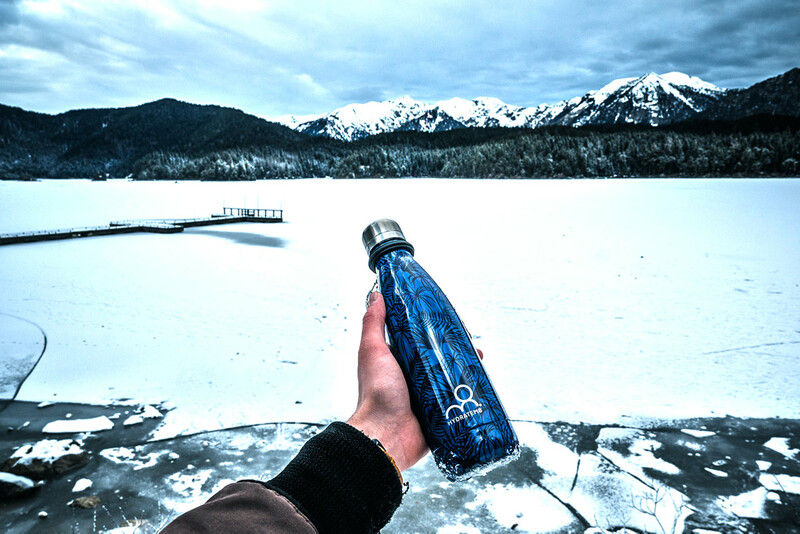 However, hydration remains just as important on the freezing slopes as when the midday sun beats down on your back – especially where your skin is concerned. As the largest organ in the body, your skin is particularly likely to suffer if you don’t take the necessary steps to keep it hydrated –don’t be fooled by the freezing temperatures and neglect an appropriate regime. First thing’s first – while you’re at the top of a mountain or slope and waiting to descend, you’re closer to the sun that you would ever ordinarily be; close enough to have all its moisture sucked out rapidly and for it to burn before you know it. The UV rays of the sun have considerably less filtration while you’re at this higher altitude, meaning that you are less protected – and due to the freezing conditions, you won’t feel the tell-tale sensation of sunburn that would ordinarily remind you to re-apply sunblock and grab a drink of water. Not only will you be exposing yourself to significantly more sun that you might expect while you’re outside, but you’ll be experiencing regular changes in temperature. The elements may be freezing outside, but the chances are that you’ll be hit by central heating cranked up very high from the moment you set foot in a chalet or bar afterwards. This constant switching of temperature can play havoc on dehydrated skin, especially when a well-earned post-skiing alcoholic drink is added to mix, and lead to the skin tightening, drying out and even cracking – which is no fun for anybody. The numerous layers of protective clothing will also trap any perspiration in, which will also cause your skin to dry and be aggravated. This is why it’s hugely important to take regular water breaks while you’re on the slopes; all quality hydration begins from the inside out, after all. Sip on water with regularity, and drink more than you ordinarily would; at least a litre more than you may consume on a typical day. This is partly to combat the sun, and also because you’re going to exert a lot of energy while you’re skiing – which means a lot of lost fluid. 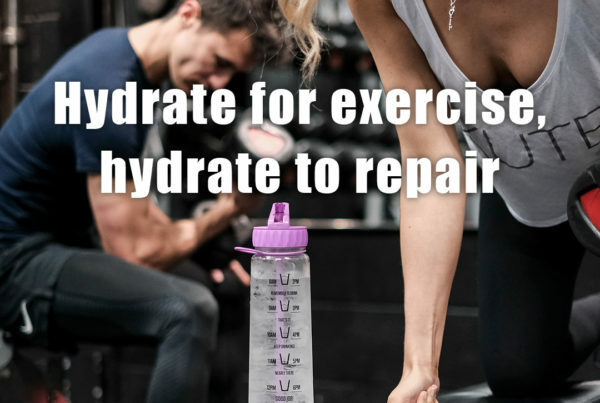 It’s hugely important that any water that you lose during your physical activity is replaced, and done so with regularity. Prevention is better than cure, so don’t wait until your skin is dehydrated before you attempt to take action. 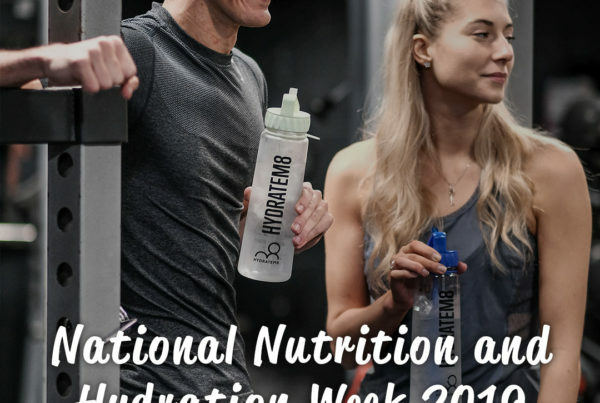 You should also bear this in mind when planning your meals – cram as many vegetables and other foods that are rich in water onto your plate as possible, as this will aid with the body’s natural desire for rehydration. Naturally, you’re also going to need to go big on the suntan lotion. Any skin, whether exposed directly to the weather or covered by layers and gloves, should be coated in sunblock with an SPF no lower than 50 while you’re skiing. You may also want to consider layering a number of different products over your skin to stay hydrated, and making friends with water and moisturiser will be the best decision that any ski bunny will ever make. A quality product will add a layer of hydration that will keep the skin healthy, and should be applied before and after hitting the slopes. Don’t neglect your lips, either – make sure that balm or sunblock is used all around your mouth, as your lips will always be in danger of drying out and cracking. 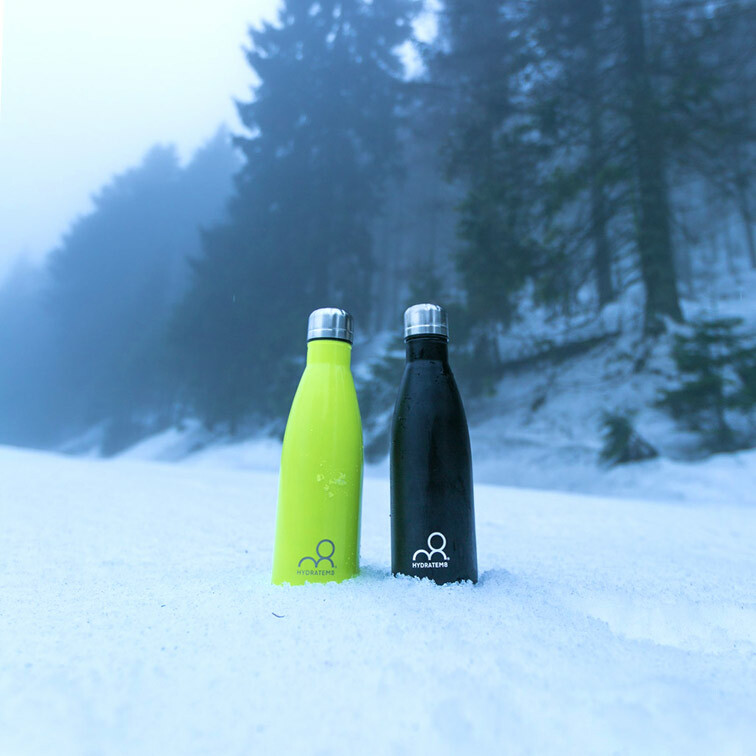 So, how can HydrateM8 help you keep your skin hydrated while you’re on the slopes? Our range of products will prevent you from drying out and ruining an otherwise perfect holiday. 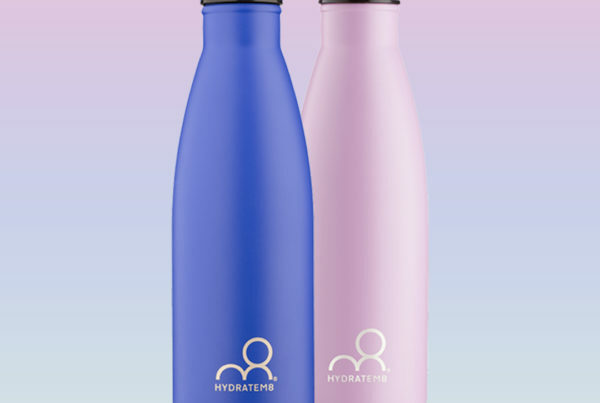 A HydrateM8 tracker bottle can be indispensable during this process, as the patented tracking markings on the back of the bottle will remind you to drink at regular, hourly intervals – all while the inspirational and motivational messages on the front will help prevent you from throwing in the towel if you take a tumble at any point! If you are terrain or outpost skiing with no sign of a mountain top café, hydration is critical, particularly if you were unfortunate enough to have an accident. 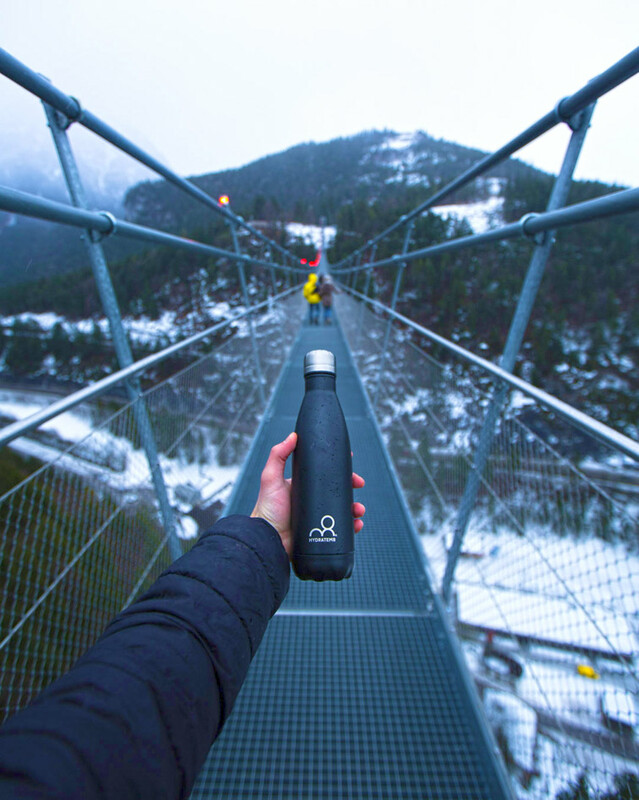 In this instance, you may like to consider that a warming drink would be better, and our HydrateM8 insulated bottles would be perfect for this. Hot or cold, water will be a lifesaver. Keeping your skin hydrated while on a skiing holiday may not be the first thing that anybody thinks of when planning their trip, but it’s arguably the most important concern that anybody can have. Make sure that you understand just how key hydration is, and look after your skin appropriately. Drink regularly, apply sunblock, and moisturise at regular intervals – you’ll be immeasurably glad that you did when you’re back to reality and are not feeling any ill-effects from your sojourn on the slopes. Previous PostHow Can I Tell the Difference Between Hunger and Thirst?